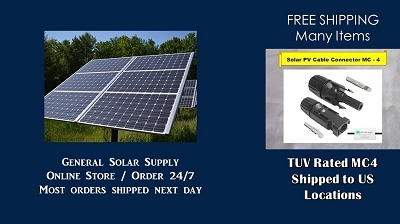 Professional Solar Panel installers know using the highest quality cable and connectors will provide the very best performance for your system. Don't lose valuable energy by not properly connecting power to where it's needed. Our MC4 Connectors are easy to use and are TUV rated for long life. Each set is complete - both sides positive and negative as shown in photo.